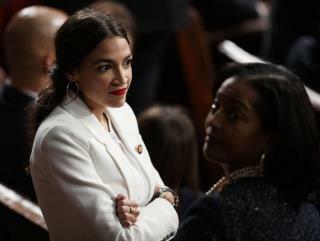 (Newser) – The campaign of US Rep. Alexandria Ocasio-Cortez has been fined $1,500 for not having the required workers' compensation for a month last year, the AP reports. A spokeswoman for the New York state Workers' Compensation Board, Melissa Stewart, said Friday that Ocasio-Cortez's Democratic campaign lacked coverage from March 31 to April 30. She says the fine, first reported by the New York Daily News, has been paid. She probably thought her workers were covered by Obumblercare or her Utopian idea of Universal Healthcare ! But, but, but you mean we actually have to PAY for the coverage ? Should provide great comic material for the next few years if comedy shows have the won-tons to use the material. I hope she stays in office for 50 years. A true goldmine.